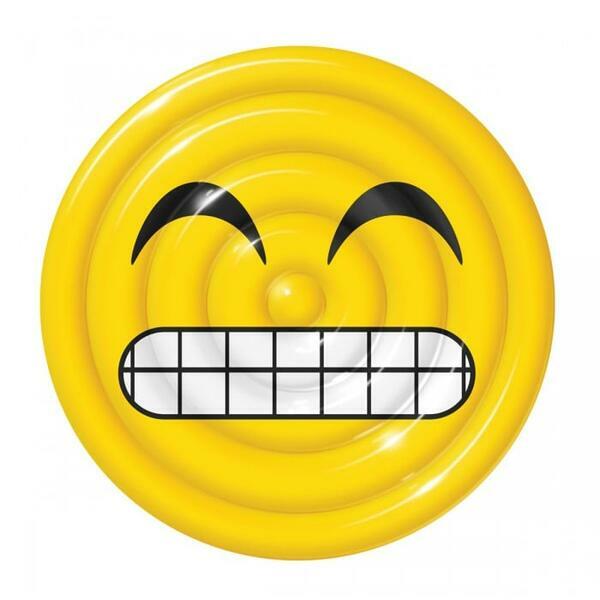 This Emoji Inflatable will have You Grinning from Ear to Ear! It’s a sunny summer afternoon, the sky is blue and cloudless, the pool water is cool and inviting. What’s not to smile about? Sounds like the perfect time to stretch out on the Grin Emoji Floating Lounger by Sportsstuff! This heavy-duty PVC inflatable has RF welded seams and measures in at 62” in diameter (uninflated). 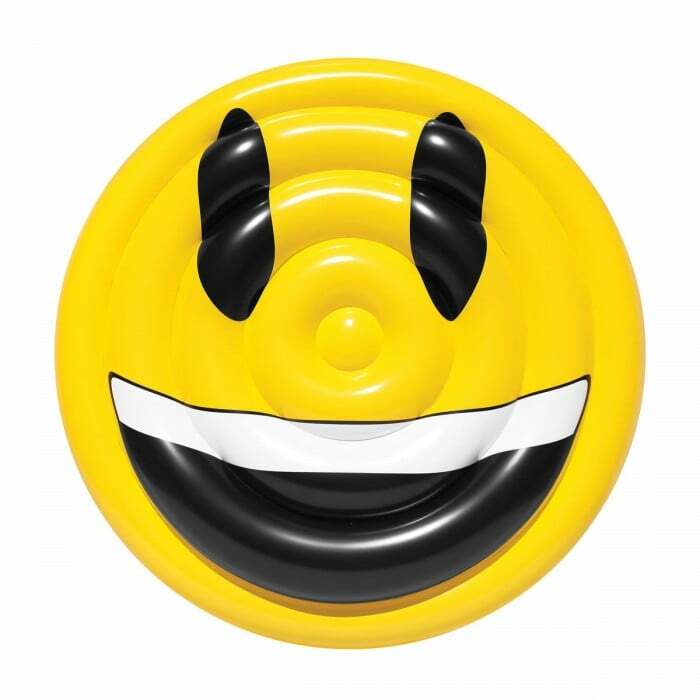 The two sided raft features a different grinning graphic on each size; reflect your mood with the Grin Emoji Floating Lounger by Sportsstuff.